URI's New Action- Packed Dialogue Promo Out Tomorrow! Home BOLLYWOOD URI’s New Action- Packed Dialogue Promo Out Tomorrow! URI’s New Action- Packed Dialogue Promo Out Tomorrow! After the first promo showcasing the brave soldiers fighting in the dark night with the unit ‘Night Vision’, makers of URI are set to share another power-packed dialogue promo tomorrow. The new promo will showcase Vicky Kaushal in a power-packed avatar mouthing some hard hitting dialogues. Shooting a terrorist underwater, the video gives glimpses into the hardships and valor of the Indian army. Vicky Kaushal also says ‘Waqt Aa Gaya Hai Khoon Ka Badla Khoon Se Lene Kaa’ in the promo. URI is a film which has an ensemble cast, including Mohit Raina, Paresh Rawal, Yami Gautam and Kirti Kulhari, but the film majorly revolves around Vicky’s character. It is the first film which will be solely having Vicky as the protagonist with an only ensemble cast as support. The actor along with the makers posted the trailer release date recently on his social media. Vicky posted a picture recently to build the anticipation and intrigue in the audience, also the actor posted a video of himself while doing the dubbing of the film. The trailer of the film received an exceptional response from the netizens. 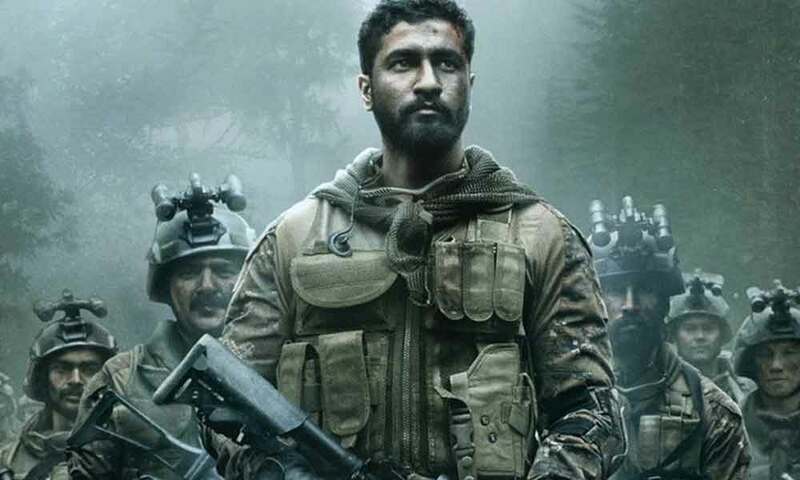 The teaser showcased Vicky Kaushal’s determination to avenge the death of his fellow soldiers. The actor who has carved a place for himself and has impressed the audience with his remarkable performances. With URI, Vicky is all set to deliver yet another impactful performance. Previous articleWinners Of The First Ever Critics Choice Short Film Awards Announced!